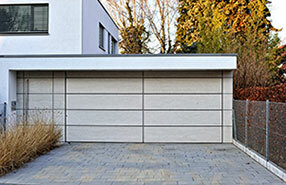 The best tips about garage doors! Learn how to take care of small problems and the opener and find out how to check the balance of the door and how to protect garage doors from the cold. Excellent ideas on a variety of issues! How safe is your garage door? Do you want to ensure the security of your home? Get a wireless garage door keypad and make sure the doors are always properly maintained. If you upgrade the system and do garage door service, you can ensure home protection. Don’t let intruders into your house just because you don’t know how to replace the bottom seal. You may not pay any attention to the small gap that's underneath the door, but it happens to attract the attention of intruders, who have the right equipment for every occasion and might just take advatage of that. Take care of it asap! You must never neglect garage door opener repair because openers make sure of the proper performance of the door and its steady opening and closing. If it’s not working right, your door might not be closing well making your house vulnerable to intruders, drafts and elements. Do you need new openers? Is it time to buy a new garage door opener? There are many types as well as brands on the market, but it would be wiser to seek consultation from Garage Door Repair Atlanta to get the best possible for your garage door at home. Aside from weather stripping, sealing and painting are common methods usually done to protect your garage door. Wood has a tendency to shrink and swell. This can be due to extreme changes in weather conditions. Repainting and sealing can prevent further damage on your garage door. During wintertime, locate crevices and cracks and seal them. Keeping your garage door balanced is important to keep it functioning properly. Even if you are not a garage door pro, you could determine this on your own. Close the door and if you are using a Liftmaster door opener, temporarily disconnect it. Pull the door open manually. If you are having difficulties opening it or if it doesn’t remain open when you let go, have it fixed immediately to avoid unnecessary accidents. 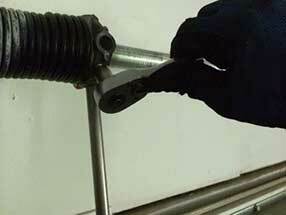 Garage doors will suffer during cold weather and some materials are very sensitive. Wood would warp, steel would rust. You need to clean and protect them by applying varnishes before winter comes. The moving garage door parts will be noisy due to friction and they would need lubrication maintenance. It's good to keep the surrounding area clean to avoid finding the door stuck on the ground. When garage doors are protected by galvanized materials, they will last longer and cost you less in maintenance. The zinc plates are resistant to elements and will protect the strength of the door. They are usually more expensive but they will cost less in the future. 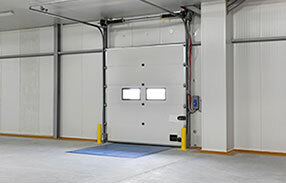 Regular doors which are installed on a two-car garage require an opener with 0.5 horsepower. Our specialists in garage door repair Atlanta recommend an operator with 0.75 horsepower for heavier wood doors. More power means higher cost and not necessarily a more efficient operation. Fiberglass can withstand the widest range of temperature effortlessly and it doesn’t expand or contract like metal, nor does it warp like wood, so it’s ideal in places with very cold winters and hot summers. Furthermore, a fiberglass garage door is well insulated as is. The good thing about the garage door is that it rarely fails catastrophically without warning signs. So if you check the springs, rollers, pulleys, cables and tracks every month or so, you would notice signs of wear on one or more of these parts, and when you did, call a repair company to get them taken care of to prevent failure.